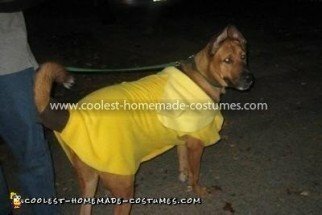 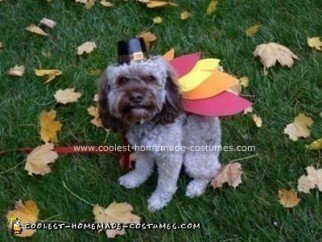 When your dog is a member of the family, they need a homemade costume too! 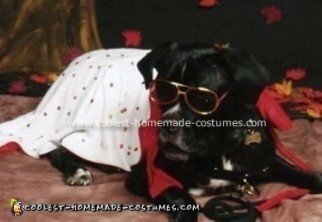 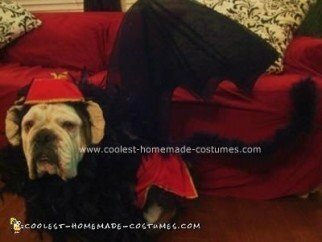 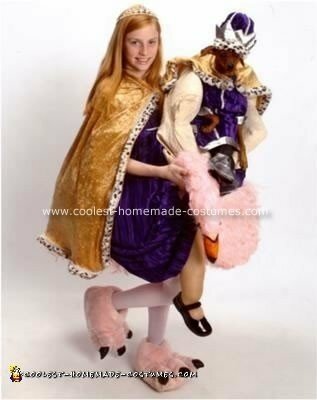 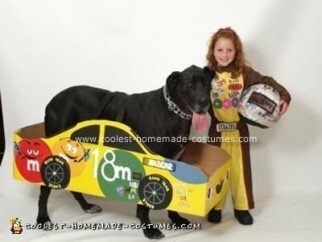 This section contains over 200 of the coolest pet Halloween costumes for you to chose from. 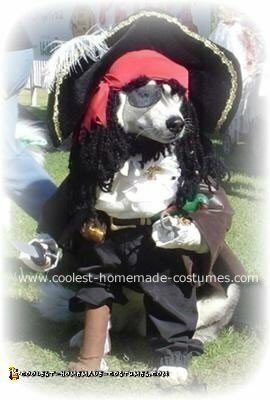 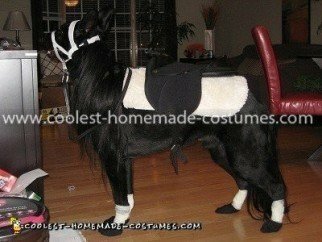 Whether you integrate your furry friend into your own theme or give them a stand-alone costume, the options are vast and incredible. 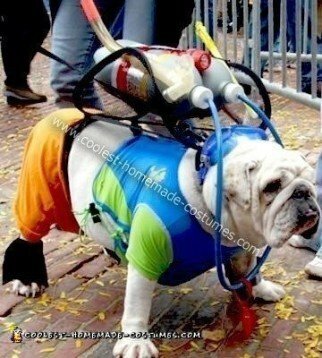 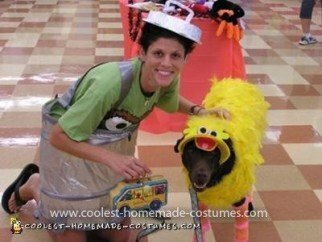 Man’s best friend attracts many DIY costume ideas. 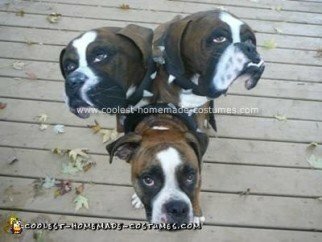 Some of these pets don’t have the happiest expressions on their faces, but we’re sure they are secretly thrilled. 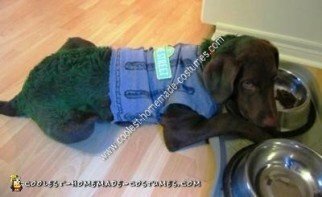 One owner dyed her dog green for an Oscar the Grouch costume. 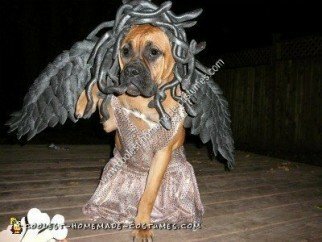 That may be too extreme for your pet Halloween costumes but the results are pretty awesome. 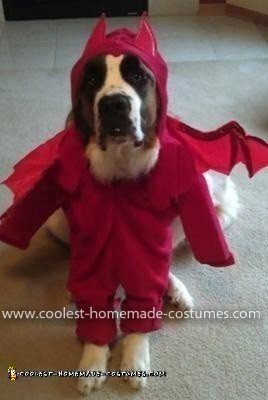 You can go more simply with a white sheet as a costume. 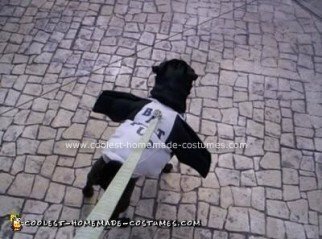 As you will see, it transforms a little Shih Tzu into an adorable ghost. 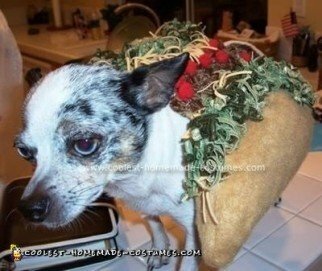 Many dogs are dressed as food! 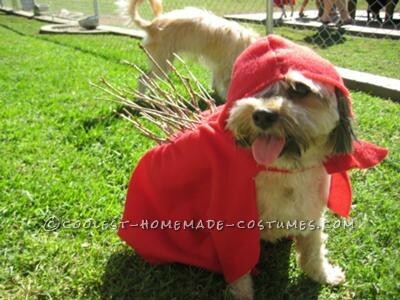 Make your pet into a main dish of spaghetti and meatballs. 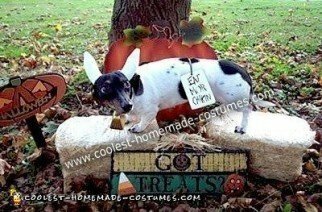 You can also see dogs as cotton candy, a can of sprite and our favorite, corn on the cob! 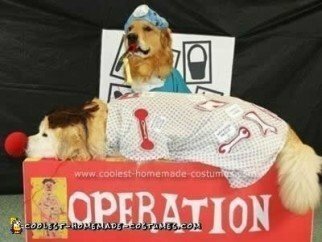 There are also pup cakes featured here. 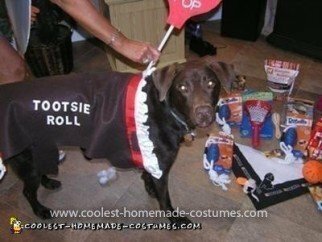 They are cupcake costumes for your dog and are enough to turn anyone into a dog-lover. 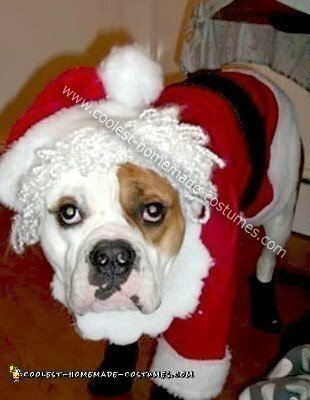 Finally, the ultimate disguise for your canine is to dress them as another animal. 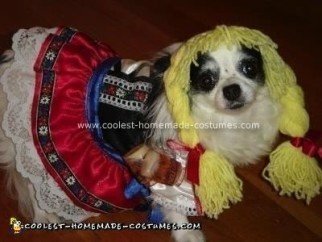 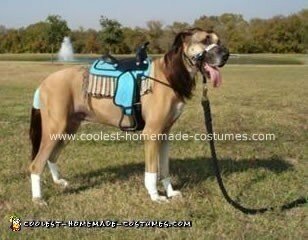 It might cause an identity crisis, but your dog will look fabulous. 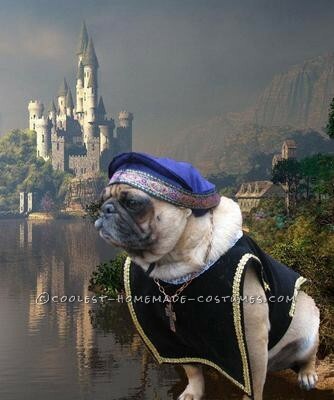 And isn’t that the most important thing?